and gives you the opportunity to use the Moon Coin and the Moonbot as community to get better profits and trading results! 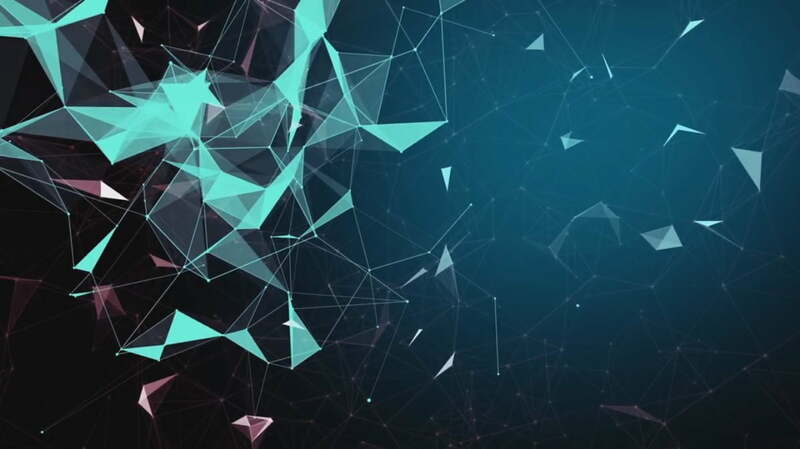 The Moonbot is a trading bot which we use to generate Profit on several Exchanges. The daily average Profit from the past year was 0.76%. How to use the Moonbot? For Example, the longer you use the Moonbot, the more of the profits you get! If we make 1% profit on one day, you will only get a percentage of it based on your dollar value and your Moonbot License. Your Deposit in the Moonbot will be locked for the duration of the license period you choose. 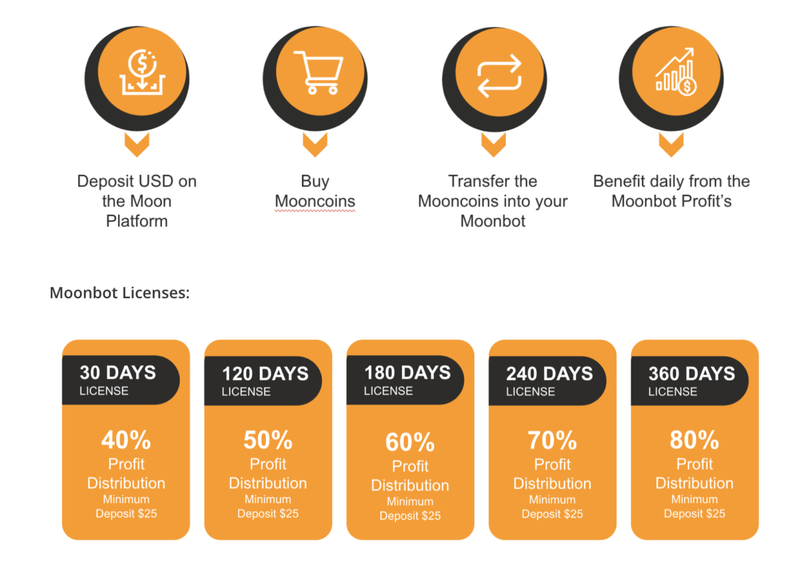 At the End of the license period your initial Deposit in the Moonbot will be exchanged at the current rate back to Moon Coins. For all daily generated profits by the Moonbot, there will be a buy order placed in USDT for the total amount of all Moonbot profits! Top 1 User will receive 1,600 $ in USDT Deposited in the Moon Bot. Top 10 users each will receive 333 $ in USDT Deposited in the Moon Bot. Top 11 to Top 30 Users each will receive 100$ in USDT Deposited in the Moon Bot. Each winner will get a 360 days license! Create an account at Moonberg.io. 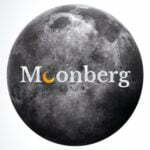 Go to the Moonberg Contest site. Select, “Join Contest” and submit your e-mail address. You will be redirected to the dashboard in which you complete several social media tasks to gain more points. Refer others and receive additional points. Top 2 – 10 users will get $333 in USDT in the Moon Bot. Top 11 –30 Users each will receive 100$ in USDT Deposited in the Moon Bot. The Ranking resets every 30 days and runs for a total of 90 days!